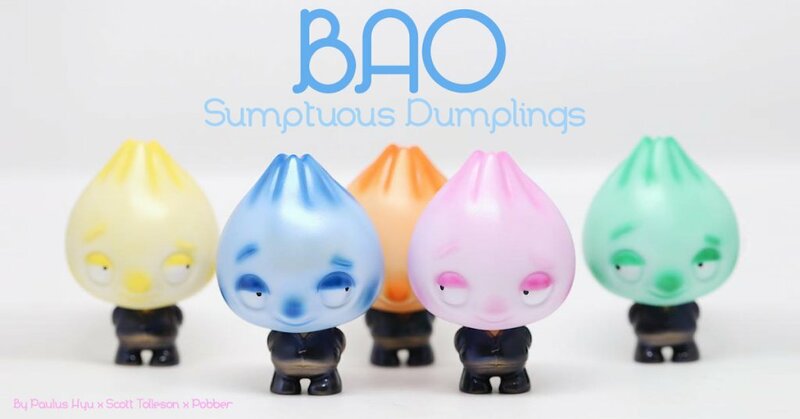 Our friends Pobber has just teased and revealed “Sumptuous Dumplings” based on Scott Tolleson x Pobber on “BAO”, artist/photographer “Paulus Hyu” takes over the silhouette of BAO and introduces you to “Sumptuous Dumplings”. We were lucky to be at STGCC 2017 where we saw the “Sumptuous Dumplings” in their early prototype stages. Today Pobber shows you all the variants of the Sumptuous Dumplings. Could this mean the Sumptuous Dumplings BAO are ready for a release? Stay tuned for further info. Pobber has just notified us, in fact, these are all custom by Paulus Hyu but they will be released very soon. http://pobber.bigcartel.com/ for further vinyl goodness.